Summon a 4/4 Cliff Racer with Charge in each lane. Your opponent summons a 0/1 Target with Guard in each lane. 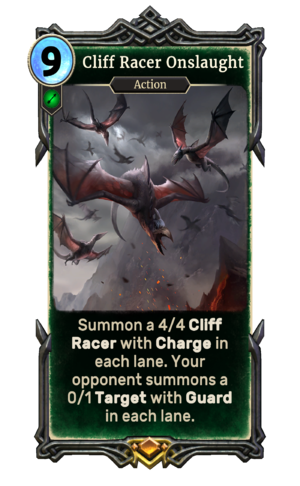 Cliff Racer Onslaught is a legendary Agility action card. It is part of the Houses of Morrowind expansion.